ABOUT THE AUTHOR - WHO ARE YOU CHOOSING TO BE? Mark is a Body Language Specialist and Clinical Hypnotherapist who offers his services as a Personal and Professional Development Coach & Consultant. His knowledge and expertise has enabled him to facilitate profound self-improvement with thousands of people around the world. 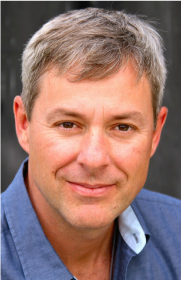 Mark works with individuals, couples, organizations, businesses, and in the television medium. His work has been featured on THE OPRAH WINFREY SHOW, DR. DREW, NBC, TLC, HGTV, VH1, MTV, STYLE NETWORK, and ACCESS HOLLYWOOD. Mark offers workshops, seminars and speaking engagements based on the principles found in the book. Currently, Mark lives in Manhattan Beach, California. "When I was a child, I believed that everything was possible. I could become anything I wished. I played for hours as a superhero, an actor, a singer, a magician, an artist, a lawyer, a fireman, and any number of identities. Within seconds, I could transport myself to any time or place. No one told me that I could not be or do any of the things I loved doing. I was free to create without boundaries and anything was possible."